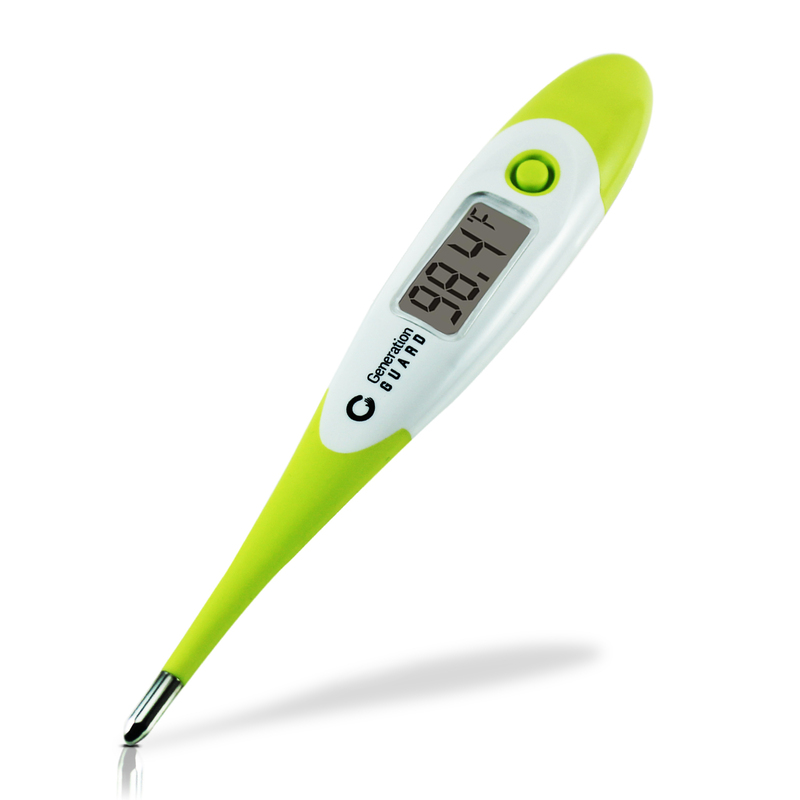 I just got this thermometer from Generation Guard As a mom I am always looking for thermometers. It seems like someone is always needing one. This one is great because it’s really flexible which I like because it’s easier and more comfortable to use. It’s digital so it’s really easy to read and is really clear. I really liked our thermometer when we got it it and we used it several time but the battery ran out almost immediately and it no longer functioned. We probably used it about 4 or 5 times and the battery went out. I was happy with it until then though so I am going to give it a 4 star because it did do well and then contact the company about a replacement. I may update this depending on the response. i have little ones. could really use this. thanks. i have 9 grand kids. this would come in handy.thanks.